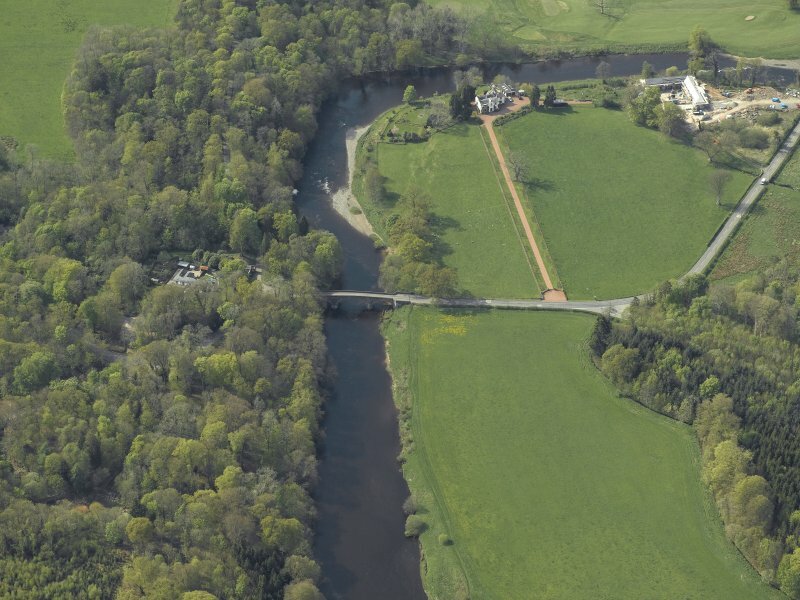 Oblique aerial view centred on the road bridge with the house adjacent, taken from the E.
Oblique aerial view centred on the road bridge with the house adjacent, taken from the ESE. 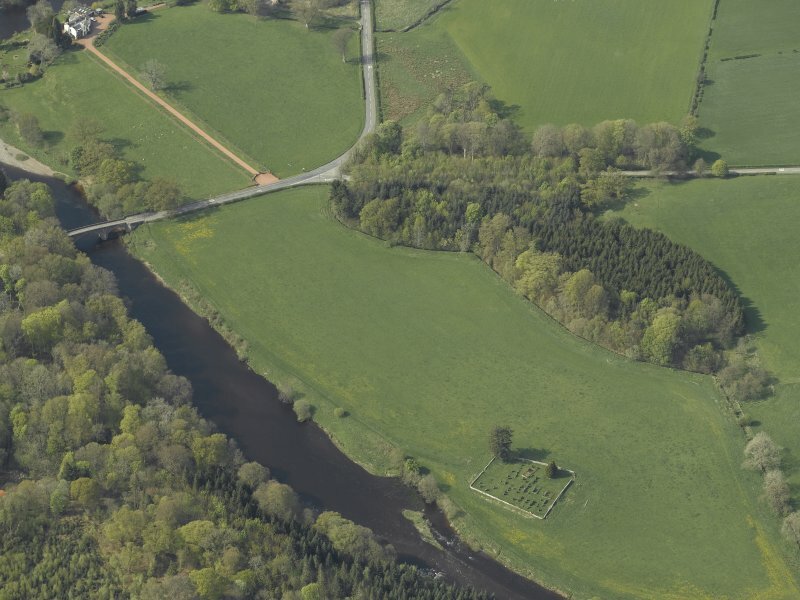 Oblique aerial view centred on the graveyard and the ruins of the church with the road bridge adjacent, taken from the SE. Hoddom Bridge, 1763-5. Andrew Laurie, elegant three-span masonry bridge, with segmental arches and triangular cutwaters. This bridge carries the B723 public road over the River Annan, which here forms the boundary between the parishes of Hoddom (to the N) and Cummertrees (to the S). Information from RCAHMS (RJCM), 17 December 1996. Ecclefechan. The outer arch spans are 46 ft and the centre arch 65 ft. The masonry work is diagonally droved with recessed arch rings. The cutwaters are pointed. Annan at the onset of the Industrial Revolution. 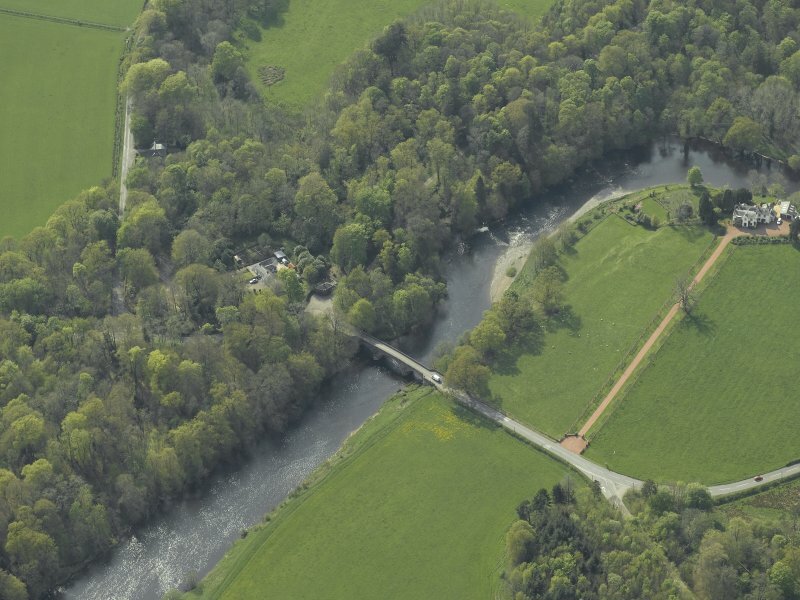 There is a similar bridge some three miles downstream at Brydekirk which was proposed in 1778 and completed in 1800.